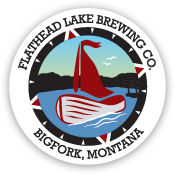 Happy Holidays from Flathead Lake Brewing Co. & Pubhouse. Join us on Sunday, December 24th and celebrate Christmas Eve with us! Brunch 11 to 2pm: $1 off Bloody Mary Bar. Brunch menu + Special: Spiced apple pie crepes, fruit cottage cheese, and scrambled eggs for $12. Here we come a-wassailing 4 to 6pm: Join us for our first annual indoor wassailing (caroling) and good old fashioned Christmas fun with your Bigfork Family. Free and open to the public “for kids from 1 to 92.” We’ll have a warm pot of wassail to warm up the adults and a non-alcoholic version for the kids as well. Dinner Special 4 to 8pm: Herbed lamb shank with rosemary potatoes, and seasonal vegetables for $28.